Anyone heard about Flower Power? It’s a slogan used against non-violence. I know I am talking way out of topic! The reason I shared this is because life has too much of tension and violence happening everywhere. 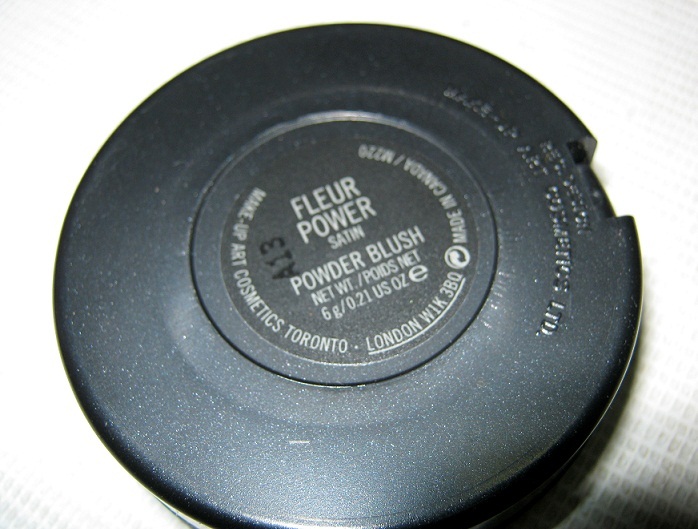 Another reason is while searching for some mac blush reviews and swatches I did a typo and wrote that instead of Fleur Power. I always have a problem pronouncing it. 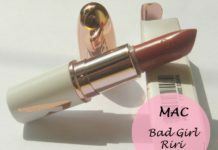 MAC MUA taught me how to pronounce it – Flu-e-r Power! 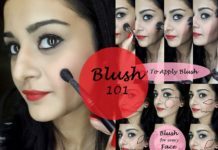 Lets move to the review on this popular pink powder blush. 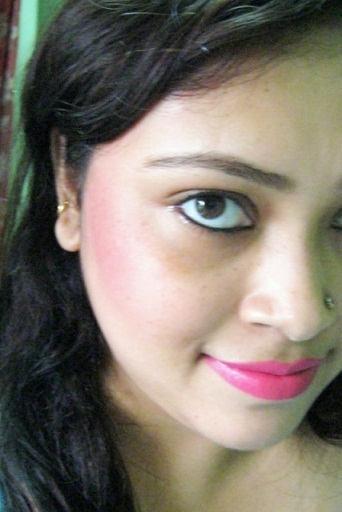 I will also show you how the shade looks on my medium Indian skin tone (nc37-40). 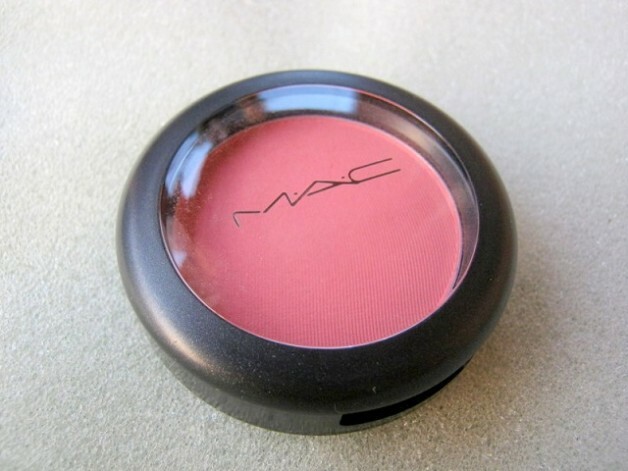 This is my first Mac blush and I am loving it! 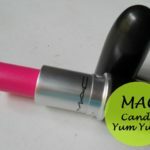 MAC describes Fleur Power as a soft bright pinkish coral with satin finish. As you see in the pictures, the colour is truly a beautiful coral pink. You get the exact colour on your cheeks. 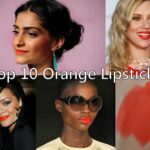 What I like about this colour is it gives a warm coral glow on skin which is flattering on all fair to dark skin tones. 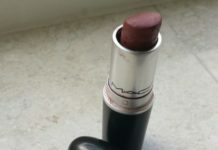 You need to use it very carefully as you can see the shade is very pigmented. 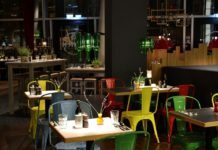 Too much can make you look like a clown! I usually use it light handed while tapping it 2-3 times. 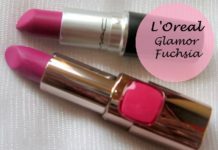 Its an everyday pink colour which can be used day and night both. 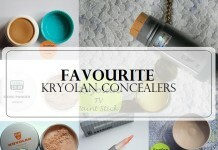 It would work on a wide variety of skin tones..right from fair skin to the dusky olive skin. And since its quite pigmented, it would show up on everybody. 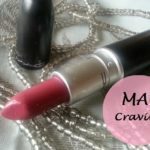 The colour pay off is great and the texture is silky and smooth. Very soft and blendable. 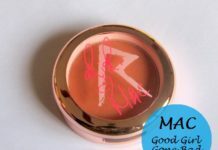 We all know MAC makes good powder and cream blushes. And this one is the best seller. I am sold on the pretty colour and the longevity. It stays for more than 8 hours on my cheeks without fading. Using it with a primer will increase the staying power. 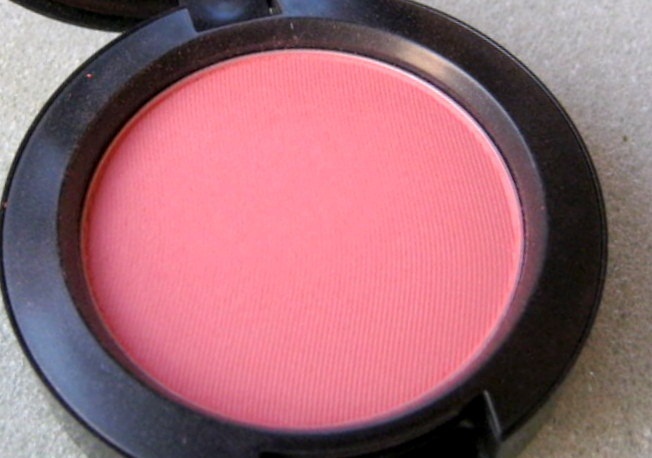 This one is the best blush I own in my vanity. 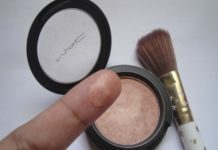 The blush comes in standard Mac packaging with a round pan and transparent lid. It doesn’t come with a mirror and the quanity is 6gms which would last a long time. 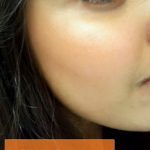 And this is how it looks on my nc40 skin tone. To show you the the real shade I applied it heavily on my cheeks as my camera was refusing to capture it. 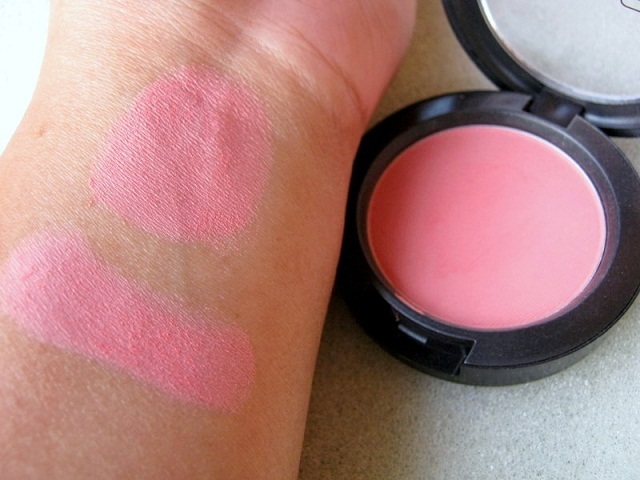 The beautiful coral pink (matte) shade. Extremely wearable –day and night both. Gives a matte finish on skin but mentioned as ‘Satin’. Soft and smooth powdery but not at all chalky. Great pigmentation. A little goes long way. The classic black packaging. One needs to be very careful while travelling as they are fragile. I can’t think of any. None! 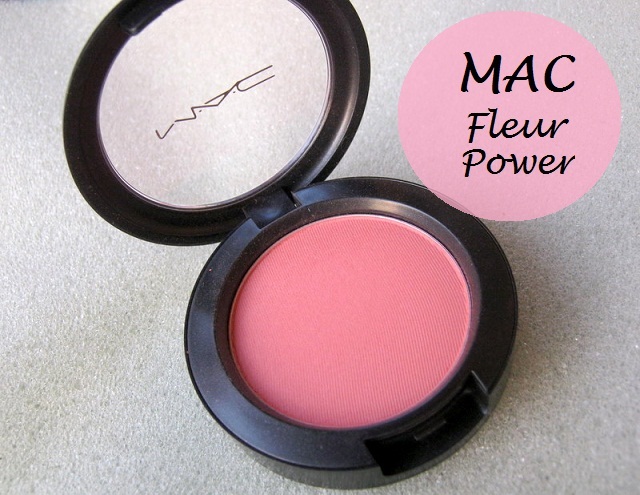 Verdict: MAC Fleur Power Blush is a beautiful bright coral pink shade. 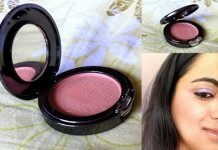 It adds a warm glow on the skin and would work on a wide variety of girls and specially the Indian skin tones. 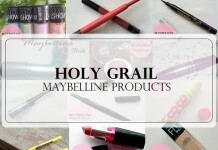 The texture is soft and smooth and it lasts for a long time. 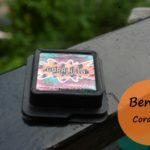 Its quite pigmented so a little goes a long way and shows up on even dark olive skin tones. I definitely recommend it! 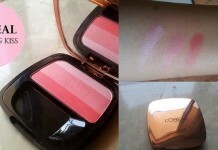 Those who are fan of coral-pink blushes should go grab it. 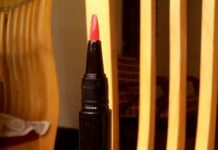 I loved ur lippy :) and blush is warm .. Wow!! it’s one of the prettiest pinched pink colors I have ever seen!! 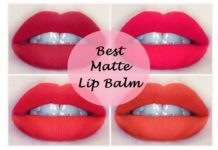 What is the lippy you are wearing? I love this!! Really want this colour now..
Hey Xuvious how r u dear ?? wanttt!!! <3 looks lovely on you! 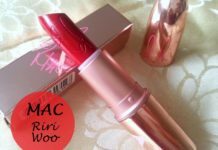 love this shade…looks great on u! Thank u Sweety <3 I m sure u ll rock it too..
i am so enjoying the pics n ur fotd..even looking at the pinkness is making me smile! 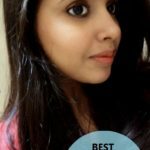 This shade looks so flattering on you Sush, lovely FOTD.